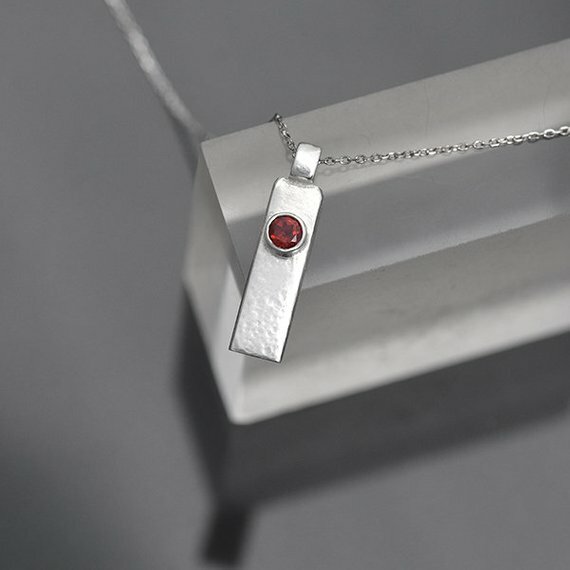 Rectangular Silver Pendant with Garnet Gemstone. This is a small silver & red pendant in sterling silver with a round faceted Garnet gemstone, set in a sterling silver collet. This rectangular red necklace has a subtly hammered finish.